In a place full of green slopes, flowery valleys, golden plains, and verdant mountains, farming id thriving and offers milk of high quality, from which are produced lots of cheese varieties and delicious organic yoghurt. In our cheese- dairies the visitor will find all local tradition gathered in a point. 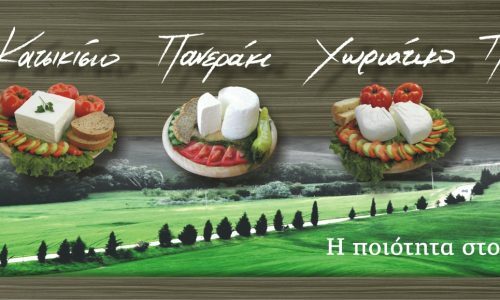 Liquid “tulums” which make cheese balls, milk tanks which mix scents and fragrances, churns which make the yoghurt, delicious cheeses which mature the taste… a dance of the most Greek favourable tastes: cheese. Visit our cheese dairies and watch all above described. You will really enjoy it and obtain new experiences.